If you grew up getting good grades in your science classes, took up a science major, watched a lot of Dexter’s Laboratory or CSI, or at any point in your life entertained the possibility of a career in a laboratory, then this is a master list that you should read through today. However close you are in attaining your goal of securing a job in a laboratory setting, it wouldn’t be premature for us to say congratulations and wish you the best of luck. 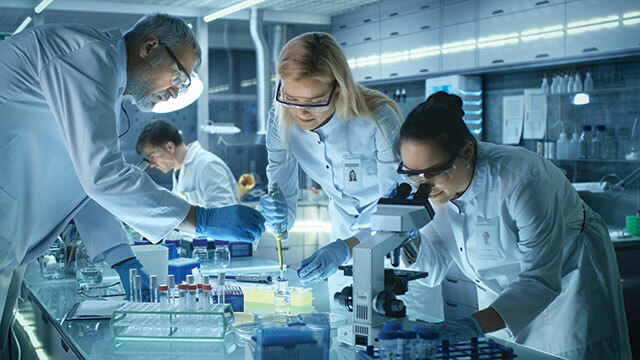 Be it in the medical, life science, chemical, or geological laboratory—and whether you’ll be entering the lab on grant for a specific project, or as an all-around lab technician—you’ve set your eyes on an important line of work with potentially life-saving and science-advancing outcomes. Here are seven big insights that we feel you should take with you when preparing your resume, applying to specific programs, or saying yes to a big grant. You might think that you won’t be well-acclimatized to lab work without a degree in medical technology or laboratory science, but don’t worry too hard just yet. Though some institutions will call for very specialized credentials, it’s possible to score an entry-level position with an associate’s degree, or through participation in a certificate program. We recommend researching what the possibilities are like for the specific lab types or field you want to work in, and jumping off from there. Given what technology looks like today, a big lab will showcase an impressive array of machinery. Don’t expect to do the same kind of manual pipetting that you did in science class if your lab boasts automated equipment like liquid handling machines with precision linear stages. Depending on your field, you may also see other equipment such as modern microscopes, centrifuges, shakers and mixers, and many others. Many labs thrive on doing work on a large scale, and this demands accuracy, consistency, and high throughput. As such, you’ll be working alongside machines to achieve that. Yes, you’ll probably be decked out in that neat white coat, but serious work in the lab will mean more than that cool privilege. When you immerse yourself in a laboratory environment, you’ll need to be judicious about proper attire, hygiene, cleanliness in the work area, and your general decorum so as not to disrupt operations. Pop culture seems to have propagated a strange myth that all experiments in the lab are successful, go according to plan, and result in huge, groundbreaking discoveries. But in a real laboratory, experiments often fail more than they succeed, and it may take quite a few more rounds of testing to come to a solid conclusion about anything. Accept failure as realistic and part of the overall process. Not every task you’ll complete in the lab will involve eureka moments of discovery and problem solving. Some days, you might spend a few very quiet, very uneventful hours preparing samples or watching the lab’s chemical fume hoods. This is all in a day’s work for a lab, and people do have to finish the less exciting tasks to get work done smoothly and safely. The lab is one of the best places to accumulate specialized knowledge and experience. If you believe in a particular scientific cause and you want to know the ins and outs of it, or you want the lab work to supplement a future passion project you may have, then you should dive in. Permanent positions in a laboratory also pay handsomely, and while working your way up the hierarchy, you’ll find yourself learning from some key leaders in the field. Nope, you won’t be like the stereotypical solo mad scientist that you see a lot in cartoons. Laboratory work is collaborative work, and you should savor the idea of doing your job while always in the company of like-minded, skilled, and passionate individuals. Your expectations about what it’s like to work in a lab will be challenged a lot along the way. Life behind those closed doors will be (at any given time) chaotic, humdrum, frustrating, or extremely rewarding. Here’s to the trials and tribulations of all lab workers and making a difference one test, one sample, and one little reaction at a time.